The adult is a medium sized, dark brown with a pale white band along the margin of fore wings and hind wing is white. 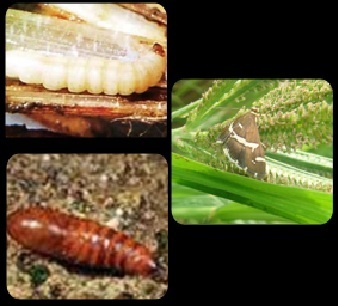 The larva is creamy white with yellow head. The damage is similar to other stem borer, but caterpillar attacks the plant at root region. If the damage is severe, central shoot may die causing "Dead Heart'. If it is partial, the plants may turn yellow. 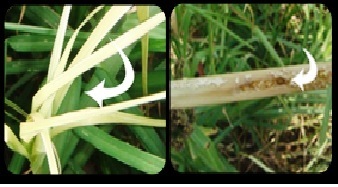 Larva found at the base of tillers close to soil level and attacks the basal part of the plants.